In Tutorial 1, we build a REST Web service from the scratch using Visual Studio and C#. It was quite a straight forward procedure. In case, you need to review it, that would be fine so you can get used to it. Also, if you have not taken Tutorial 1, you need to go back and take it because you need it to get a clearer understanding of this Tutorial 2. I am sure that by now the concept of REST web service is very clear, a service that is accessible over HTTP and conforms to the REST architechtural style. This four criteria make up the Richardson’s Maturity Model. You can read it up here. 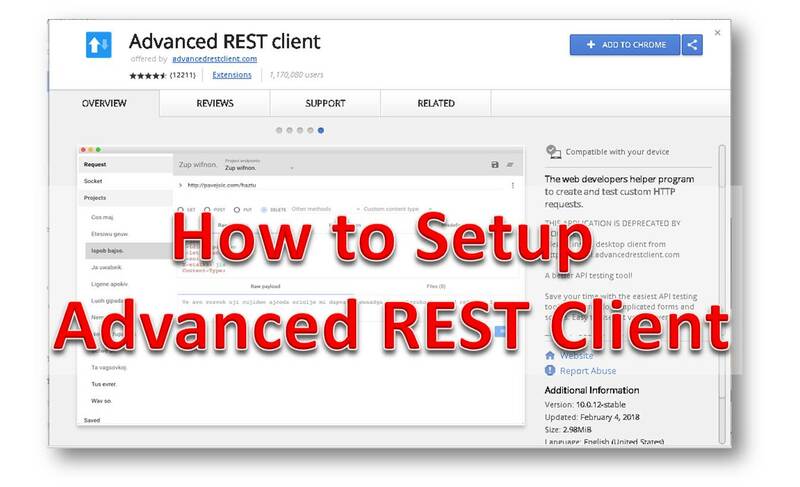 In this demo, we are going to use Advanced Rest Client from now till the rest of this tutorial. 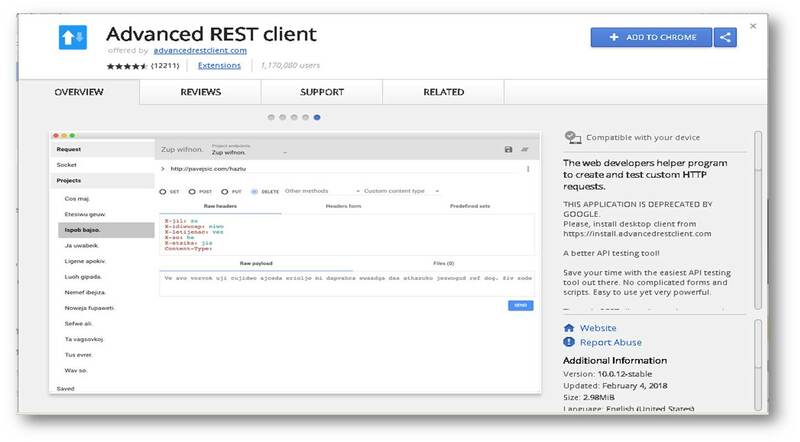 Advanced Rest Client is a free application provided as a plugin to Chrome browser. 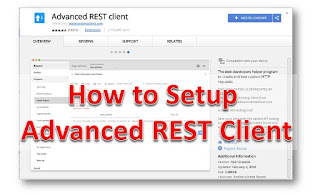 Search for Advanced REST Client. Then select it. 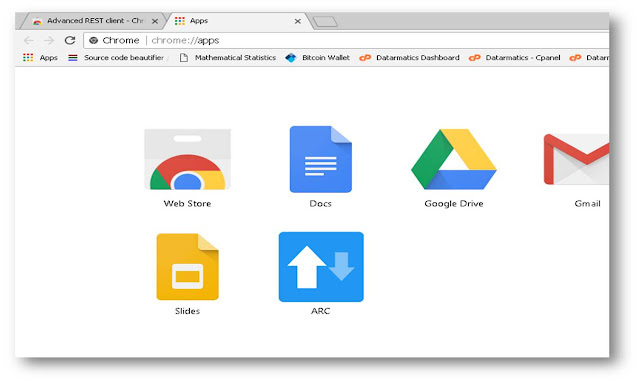 Click on Add To Chrome on the upper left (Blue Button). It downloads and adds as an extention to chrome. 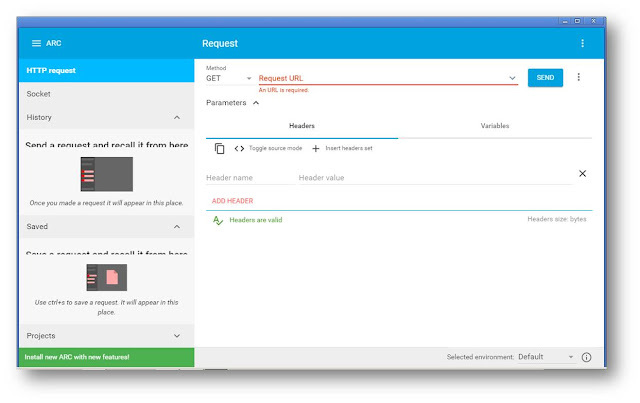 Path: This is path that to a resource which may come after the Request URL. This path is everything following the port number. Query Parameters: This is URL query parameters. It is used if the request contains query paramters. 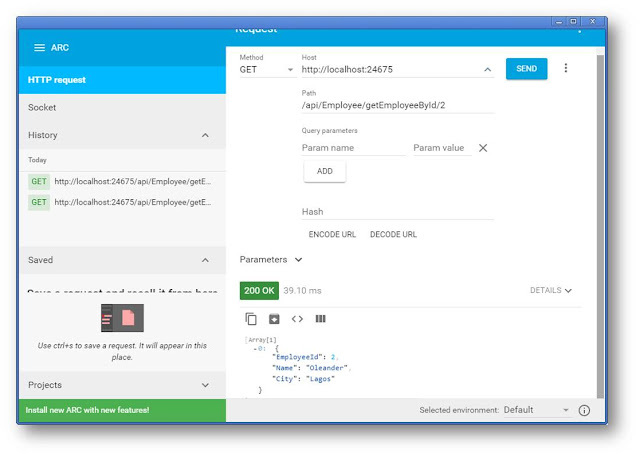 In the above example the URL parameter is id and the value is 50. Headers: HTTP headers define the operating parameters or a HTTP transaction.For example, encoding and character set. Body: Request body. This tab shows for POST, PUT and DELETE request types. It appears between the Headers tabe and the variables tab. You could see how it works by entering www.google.com in the request URL section and pressing Send. 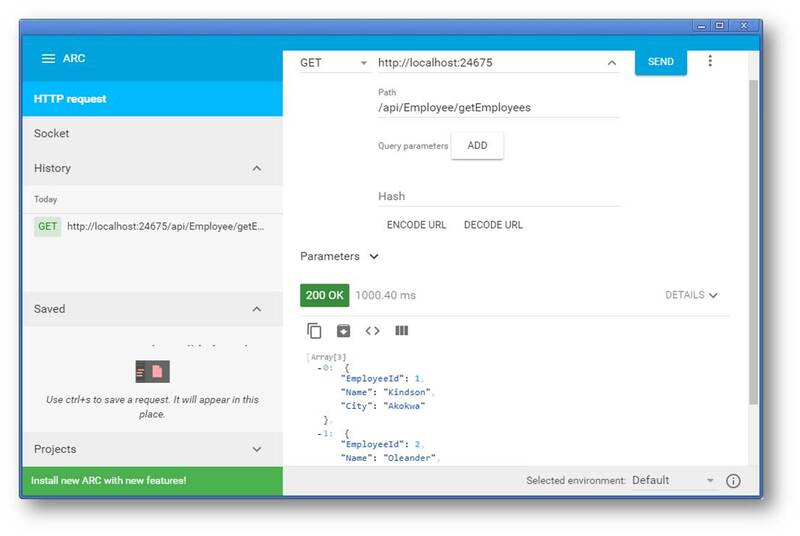 You will observe that you have a response of 200 OK.
We are now going to use Advanced REST Client to test the API we built in Tutorial 1. If you got this correctly, then be sure you will reach great heights! You have successufully completed Tutorial 2. Let’s keep moving gradually untill you become an expert in REST APIs! Now that you have completed Tutorial 2 of RESTful Web Service, congratulations! Note that in we have written a REST API that accepts only a GET request. In the next tutorial, we would write more actions (remember actions are simply methods or functions) that would accept a POST request and create a new Employee object.